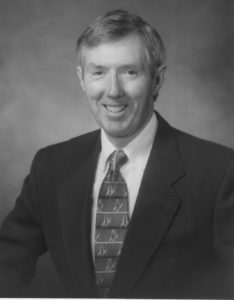 Len McPhee is a long time coach of the University of Maine at Farmington where he coached for 31 years, 24 with the men’s program and 7 as the women’s head coach. His teams won 322 games. His women’s teams made back to back NAIA appearances in 1995 and 1996. Len also served the school at the Athletic Director and retired in 2001 after 36 years of service. While in high school, Len starred on State Championship teams at both Cape Elizabeth and South Portland High Schools. He attended the University of Maine where he excelled at basketball and baseball. He coached at Rangely High School and at MCI for the Preppers before heading to UMF.